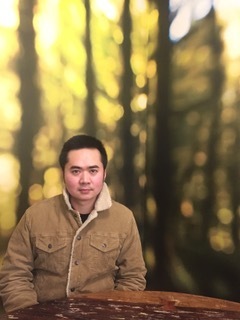 We spoke with Kevin Huynh from Girlie Footwear & Accessories to find out about his business and the help that he has received from Retail Marketing Ready. Girlie Footwear & Accessories is a fashion footwear and accessories company, which aims to give women more confidence and feel more comfortable by using their products. By following international fashion developments, they are able to ensure their products are on-trend, as well as being affordable. The business is new to the UK, having started-up in the past 12 months. The company realised early on that it had to develop an innovative and specific design to differentiate themselves from larger competitors. Founder, Kevin Huynh, discovered Retail Marketing Ready (RMR) workshops on the Eventbrite website, and booked himself onto ‘An Introduction to Retail Marketing: Information Session.’ He found the programme was really helpful to a start up business like his, and having met a RMR advisor at the workshop, he booked a follow-up 1-2-1 with her to start to develop his marketing plan and journey. RMR has helped him to optimise his social media, guiding him through how to build his platform on all the different channels. He now develops weekly content plans, detailing the posts he would make online. Having learnt about the platforms such as Instagram and Facebook, he has applied the techniques he has learnt to drive more customers to his shop. These are techniques he says he will continue to use well into the future. As well as driving up the brand awareness of his business, RMR has also provided help with improving his visual merchandising, helped with researching new markets, provided advice on how to reach his customers better, and also suggested ways in which he can reach agents and other further business partners, suppliers and distributers. Kevin explained how he has also been able to advertise his promotions, deals and discounts on the Retail Place, which is a free online platform on which he promotes his business for free, exposing his business to local customers and tourists. Kevin believes that this has definitely driven more customers to his physical and online shop. The future is looking really bright for Girlie Footwear & Accessories. Kevin is now expanding the business through pop-up shops in Camden, Spitalfields and Brick Lane markets, which is helping him broaden his brand reach. He has chosen these markets because they are ‘young, trendy and international’ – which is the type of audience he wants to reach. His online business is also expanding, and he is now selling to the European market with customers from Holland, Germany and Italy. “Retail Marketing Ready is really enthusiastic to their customers, and they have really helped me a lot with marketing”. He is also starting to exhibit his collection at fashion fairs, such as ‘Moda’ in February 2018. This will allow him to reach more customers and presents the opportunity to expand his B2B client base by working with retailers. As a wholesaler he would like to get his collection in other boutiques, as well as doing his own pop-ups. In the future, Kevin says he is excited to start working with Supply Ready, where he will get help with tendering and pitching. He aims to improve his sales pitch, particularly for dealing with future B2B clients.